One hundred modernistic structures in the Netherlands were designated as monuments last year. But what should we do with this modern heritage? On December 15, 2007, the symposium Forward! On the Revitalisation of Modern Architecture took place at the SMART Project Space in Amsterdam. Major differences of opinion emerged between architects, theorists and artists on the significance and value of modernism. Artists in particular offered interesting suggestions for revitalising modernist heritage. It became clear during the symposium that each speaker not only interpreted modernism differently but also approached the revitalisation of heritage in a different way. 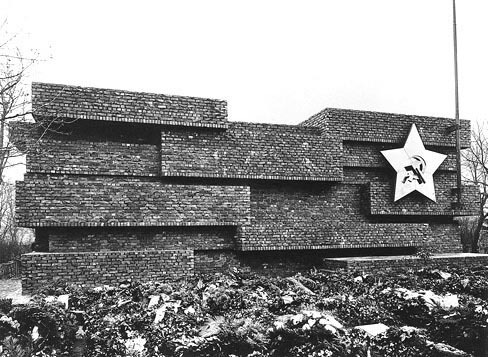 For one speaker modernism was a movement linked the major socialist ideals, for another it symbolised the third way according to Tito, while others were of the view that modernism had above all produced beautiful and radical architecture. And how do occupants experience modernist architecture? A screening of the documentary Magic Moments made clear that the views of occupants have changed over time. In the film, a selection of old English film footage edited by Jord den Hollander, we see the first residents of Amsterdam West. At the time of their completion, todays problem districts stood for progress, as we saw in the film. Michelle Provoost told how she and Crimson are working on a study and inventory of all New Towns around the world (of which Amsterdam West is just one). New Towns were laid out according to the same principles everywhere and therefore never connected up with local cultures. Demolition and reconstruction is too often opted for in restructuring these districts. The result is that possibilities for creating an informal economy disappear and social networks in the neighbourhood are disrupted. Crimson is trying to chart the use and new functions that have been devised by residents and to translate them into realistic solutions. She showed how this is possible with the well-known WiMBY project in Hoogvliet. Very precise acupuncture (or archipuncture) is deployed to tackle problems and strengthen social cohesion in the neighbourhood. English architect Keyvan Lankarani of Avanti Architects presented two different restoration projects in London. Both projects were examples of a careful reconstruction based on extensive research and involved preserving as many original details and materials as possible. At the same time, a section of the interior was sacrificed to meet the needs of today. He added a very practical question to the discussion. How far back in time do you go when revitalising? And how can you renovate something to make it viable without diverging too much from the original design? Wessel de Jonge is an architect and co-founder of DOCOMOMO, the international organisation that promotes the preservation of modernist heritage. In his presentation he acknowledged that the rationale for each renovation project should be carefully considered. He presented three projects that he has worked on: the Zonnestraal sanatorium, the Van Nelle factory and the Philips pavilion. A comparison between Zonnestraal and Van Nelle made clear that Zonnestraal, a textbook example of functionalism, was a much more difficult structure to preserve. The location and the design made an economically feasible solution almost impossible. The possible reconstruction of the Philips pavilion (by Le Corbusier) was the most interesting case. Why would one want to rebuild that? And in what way? The pavilion was designed to stay standing for just three months and was certainly not designed for winter conditions or to comply with todays building regulations. Wessel de Jonge explained that rebuilding is being studied very carefully and that the findings of that study have yet to be finalised. Nonetheless, during the lecture I got the feeling that, as soon as funding is available, the pavilion will simply be rebuilt (in Eindhoven of course). Owen Hatherley (English philosopher) spoke about the fundaments of modernism. He approached the problem of preservation and the revitalisation of modernist buildings from a modernist perspective. According to him, the modernists were not interested in continuity or eternity. Buildings had to address specific functions, and if the buildings were no longer suitable or the function had ceased, then the buildings could be demolished. He also argued that modernism was essentially a project driven by socialist ideals. Thats why he had such a big problem with the sale of London council flats to private developers. These flats are being renovated and sold as apartments for high prices. They are much bigger than many new flats in London. This sell-out, continued Owen, amounted to a renouncement of the socialist fundaments. He advocated a third option: the ruin. Why couldnt you leave a building alone? Why are these buildings defended so frenetically when the original designers didnt advocate their preservation? Do we need to preserve buildings? Art is relatively easy to preserve, but what do you do with architecture? Can you distinguish a building from its function? Can the building be separated from the ideals that lie at its core? Does that result in anything other than an empty shell? Above: monument by Rosa Luxemburg and Karl Liebknecht by Ludwig Mies van der Rohe. Below: replica of Mies van der Rohe monument by Marko Lulic. Together with Simon and Tom Bloor, Gavin Wade initiated the SMART Project Space symposium. For they are responsible for the Kiosk 7(&8) project, which was on show there at the time. Their kiosk projects are based on a kiosk designed by Berthold Lubetkin for Dudley Zoo in Birmingham. After completing a one-off project in and around the original zoo kiosk, the artists saw the structure as a motor that could be deployed at other locations. A whole series of kiosks followed all around the world, such as Kiosk 7&8 (entitled To tame Oud West with a kiosk and not with a fist). Wade offered the public a fresh possibility: a literal clone (or physical collage) to revitalise a forgotten and abandoned architectural highlight (without any need for the owners co-operation). Lubetkins kiosk is eminently suited for this. In actual fact, the kiosk contains no programme of its own, and Lubetkin was a strong supporter of mobile architecture. It is astonishing, for that matter, that Dudley Zoo doesnt look after the many masterpieces left by Lubetkin in a better way and use them to draw in more public. Apparently they have yet to see the market potential of modernist architecture. Marko Lulic held a lecture about the role of modernist architecture in Serbia and Croatia. In a tragicomic relay he took us on a journey through the history of Yugoslavia. Modernism symbolised Titos third way. After Yugoslavia fell apart, public anger focused all too often on this symbol. As a result, many buildings were badly damaged during the Balkan Wars. Modernism plays a prominent role in Lulics own work. The possible reconstruction of a Berlin monument from 1926, designed by Mies van der Rohe, was the subject of one of his projects. All that remained after demolition by the Nazis was a photo of the front of the monument. Nothing is known about the other sides. Lulics biggest objection to reconstruction is that it amounts to rewriting history. The story of its demolition by the Nazis, and the reasons why, will slowly be forgotten. Lulic has built replicas of this monument at different scales in candy-coloured acrylic. In doing so he was not only raising the issue of its reconstruction but also drawing attention to the monument again. Lulic was on similar territory to Gavin Wade with this approach: copying and rebuilding in another context, in other materials or in another scale in order to convey ideas rather than just form. An idea or building is not necessarily erased from our collective consciousness once its demolished. After a long day it was decided to have a drink straight away rather than hold a closing discussion. That was a pity, because a remarkable difference in opinions had emerged over the course of the day between the architects, artists and theorists. The architects cited examples from art to preserve buildings (the books by Kafka would never have been published if his testament had been implemented) and therefore ignored not only the wishes of the designer but also the ideals that lie at the heart of those buildings. The artists, on the other hand, advocated not losing sight of these thoughts and ideals. Architects would therefore seem to stare blindly at design, at the visual impact of modernism, and at the value of the original (the unique prototype). Of course there are buildings that justify this perspective, but the majority of buildings do not. By approaching buildings as unique works of art, we unnecessarily limit the possibilities for revitalisation. The options that the artists deploy in their work  copying, transforming and the dislocation of both parts and the whole  are to me just as powerful as careful reconstruction. But we should also not dismiss the ruin option. After all, dont you have to admit that Zonnestraal made a stunning ruin hidden in the woods? More on the Kiosks project by Gavin Wade with Simon & Tom Bloor on the website Kiosk 1 and 2. Information about the symposium on the website Smart Project Space.